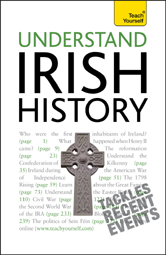 Understand Irish History is a comprehensive guide to a fascinating history. You will explore Irish reformation and restoration, culture, religion and society as well as more recent conflicts and their impact. 7 The freedom to achieve freedom? 17 The end of the beginning?